Where did you get that sweet ultralight tarp poncho that looks like an octopus suit? I designed and created it of course. I have been making my own gear since I hiked on the PCT in 2014. I got interested in making my own stuff because a few other hikers had custom homemade gear and that really piqued my interest. 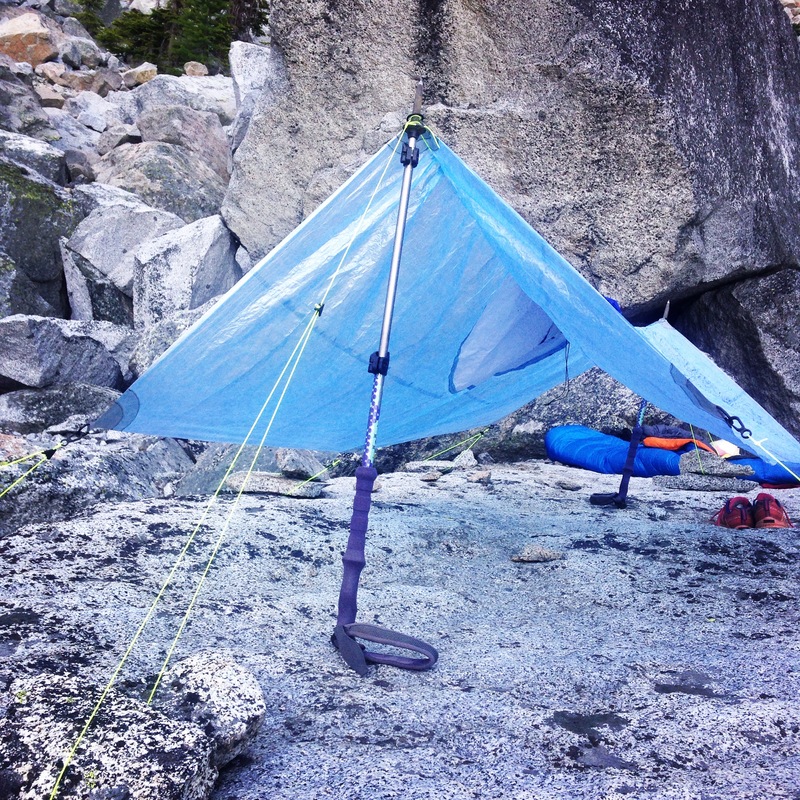 Their gear was sweet – minimal, simple, lightweight, often very affordable, and not available commercially. I have been sewing on and off since I was a kid, have a passion for creating things, and a scientific and creative mind so I started making my own gear as well. The pieces I have made are super custom, fitted to me, and often offer something you can’t currently find in commercially available gear. Below are details and pictures of each individual piece of my lightweight and ultralight gear collection. First ultralight gear made – dry bag!